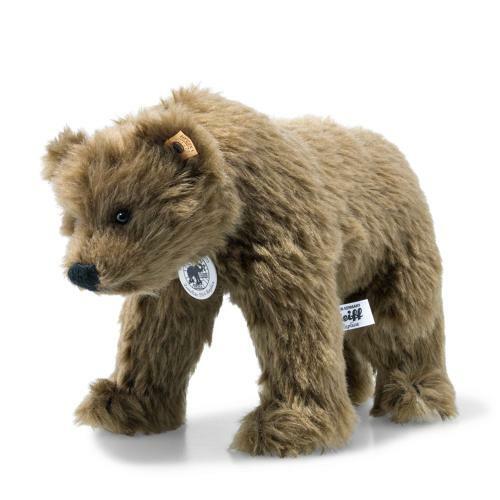 Steiff introduced its Shaggy bear in 1914. It remained in the product range until 1927, its popularity attributable above all to its shaggy fur, endearing features and soft texture. The replica measures 22 cm in height, is stuffed with extra-soft wood shavings, has glass eyes and a press-and-listen growler. To mark the year it was originally introduced, we are now presenting the Shaggy bear 1914 replica in a limited edition of 914.